Its time for another superhero movie (as if we didn't have enough out already). This time we bring in old school Captain America who is tired from saving America from the perils of the world. Captain America is also sporting a beard and having endured the hardships of public transportation. 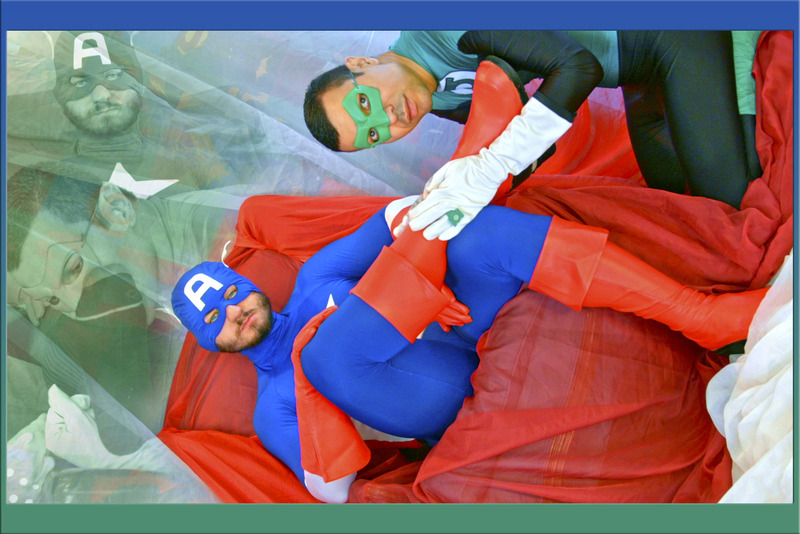 The Captain invites his buddy Green Lantern to please him by worshiping his boots and Gold Toe socks -- yes, this Captain America wears Gold Toes. While the cheese factor is at its peak here a break from ordinary worship is not a bad thing either. Enjoy.